Car manufacturers are required under law to report death and injury claims to the National Highway Traffic Safety Administration. Those figures allow the regulatory agency to identify potentially fatal and dangerous defects. In the last year, the federal agency has investigated reporting inaccuracies related to Honda and Fiat Chrysler. 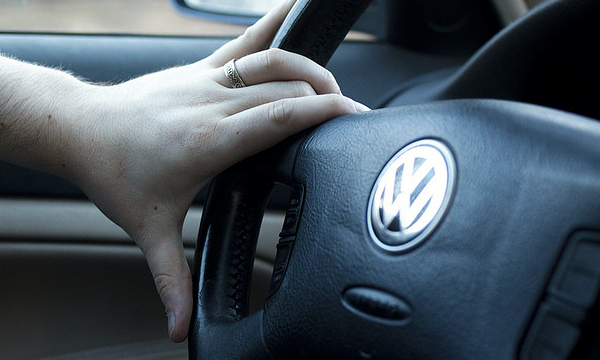 Now, a new report shows that Volkswagen – in the midst of an emissions scandal – may have underreported deaths and injuries relate to its vehicles. Bloomberg, citing an analysis of government data, reports that over the last decade VW has consistently reported death and injury claims at a rate of nine times lower than the average rate for the 11 biggest automakers. In fact, the company’s reporting rate even fell below that of both Honda and Fiat Chrysler’s underreported claims. Financial advisory firm Stout Risius Ross Inc. analyzed the government data and created a ratio of death and injury reports per million vehicles on the road for each automaker. According to that analysis, the average incident reporting rate among all 11 manufacturers came out to about 301 deaths and injuries per million vehicles. On the far low end was VW, which reported just 34 incidents per million vehicles. In contrast, General Motors reported 524 incidents per million vehicles. The underreported rate for Honda and Fiat Chrysler had rates of 101 and 78 incidents per million vehicles on the road, respectively. As a result of its underreporting, Honda was fined $70 million by NHTSA, while regulators have yet to determine if Fiat Chrysler will face additional fines on top of its recent $105 million penalty related to a failure to address recalls. While it’s possible that the reporting rate for VW just means the company’s cars are the safest on the market, consumer advocacy groups say that likely isn’t the case. Clarence Ditlow, executive director of the Washington-based watchdog Center for Auto Safety, tells Bloomberg that Volkswagen’s numbers are so low that he questions how they were compiled.